This entry was posted in Italy, Milan, Travel and tagged door, flowers, souvenirs, Vespa, walking. Bookmark the permalink. 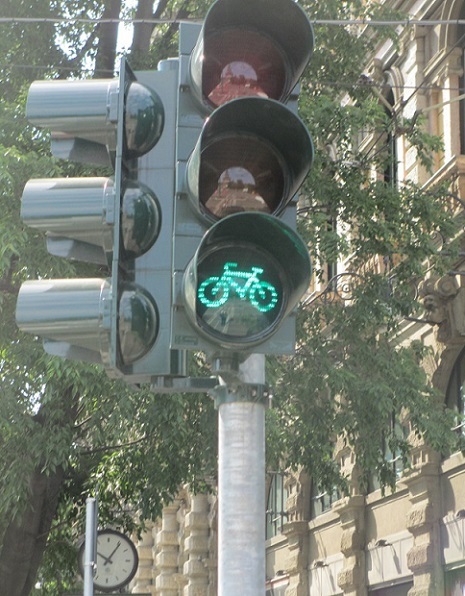 I like that traffic light! I agree, it’s the special things one finds that make the memories. Famous places are fine, but I can usually find those on a postcard–with a perfect photo. That’s a good point Patti – I usually buy postcards so it’s fun to get pictures of other sights! That traffic light is a great idea. I love the castle door, with its iron gate and overgrown stairs – very intriguing! Thank you Amy – small details can become really special memories! I love this selection of not so usual photographs. The door to the castle has my imagination going! I wondered about that door too – it looked like it had some interesting stories! Those are some very nice details, Meg. Love them. It really does – it’s fun to remember where I was in Milan when I took these pictures! You’ve got some lovely posts here! Thank you for stoping by mine! Thanks and I really enjoyed visiting your blog too! I love the images you come away with. Downspouts usually end up in mine. I find them so interesting when they’re shaped like gargoyles, fish, dragons. And such a nice touch! 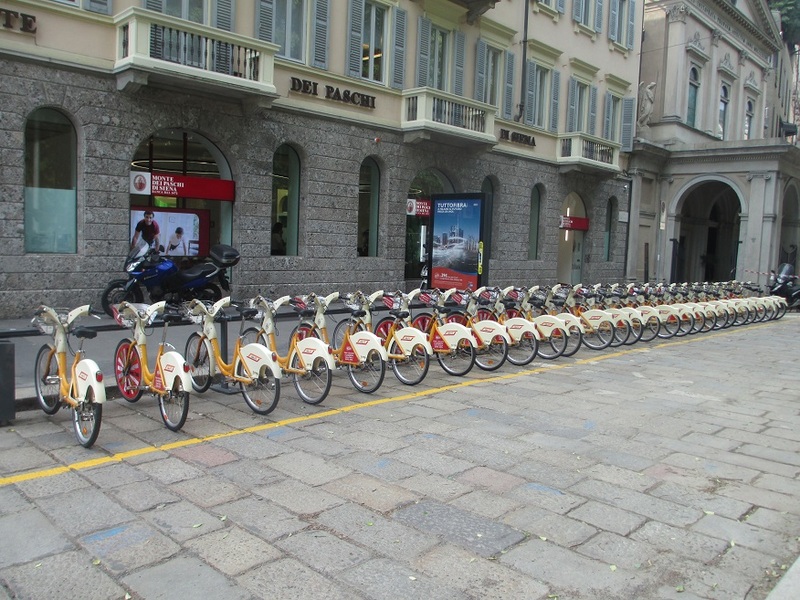 Thanks – it was nice to look at these pictures and be reminded of a wonderful visit to Milan! I love details and it means that I love Your post and photos. I noticed among those details red-colored Vespa – beautiful. Thank you so much! I’m always looking for details – it’s a lot of fun! I often notice down spouts and grates, Windows and doors. It’s all part of the experience! I love how you categorize your collections though. Nice. Thanks Renee – it’s so interesting to notice these kinds of details. They make travel even more fun!